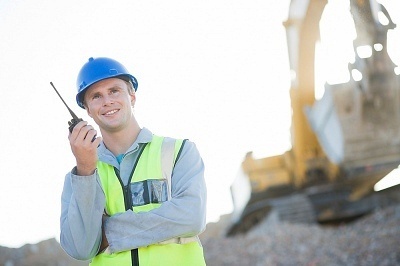 There are different types of overseas construction jobs . This sector is growing on a daily basis; if you have any experience in this field, finding an overseas job in construction can be a great idea. Having experience in CAD (Computer Aided Design) and architecture is certainly a great advantage for people who are trying to find an overseas job in construction. Technicians, civil engineers and those specialized in oil, pipes and gas installations are also sought after. Other categories that you can look into are those involving administrative tasks like accounting, managing the facility, recruitment, production management, commercial management and overseeing operations. Middle Eastern countries have a lot to offer, when it comes to job opportunities in the filed of construction. Saudi Arabia and the United Arab Emirates are great examples. High-rise buildings, hotels, resorts and casinos are being built everywhere. According to analysts, this trend will continue for many years. Aside from the above-mentioned categories, there is also a constant need for laborers, craftsmen and those who can operate heavy equipment. Australia and New Zealand also offer good opportunities. The latter in particular is proving to be attractive as the salaries are among the highest in the world. Qualification and job requirements: Apply for the position that best suits your abilities and education. Check the company’s background: It is very important to check the background of the company you are applying at. You may check the company’s license on their website, but it is always wise to use different sources of information. Getting your papers prepared: ensure that your papers are in order. All the relevant documents including your certificates, passport, visa, work permit, etc., should be updated and signed by the authorities. You must have copies of all these documents. Gathering information about the country: this will help you prepare yourself for a completely new environment. Read about the customs, tradition, language, lifestyle, cost of living and climate conditions in the country you will work in.